Can Orthodox Christianity offer unique spiritual resources especially suited to the environmental concerns of today? This book makes the case that yes, it can. In addition to being the first substantial and comprehensive collection of essays, in any language, to address environmental issues from the Orthodox point of view, this volume with contributions from the most highly influential theologians and philosophers in contemporary world Orthodoxy will engage a wide audience, in academic as well as popular circles--resonating not only with Orthodox audiences but with all those in search of a fresh approach to environmental theory and ethics that can bring the resources of ancient spirituality to bear on modern challenges. The Rev. Dr. John Chryssavgis, Archdeacon of the Ecumenical Throne, taught theology in Sydney and Boston. He currently serves as theological advisor to the Ecumenical Patriarch on environmental issues. 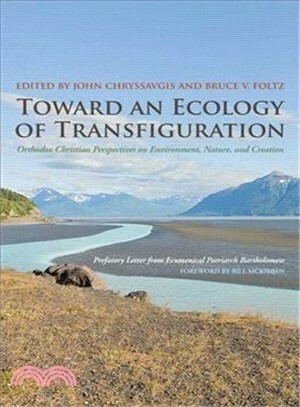 His environmental publications include Beyond the Shattered Image (Light & Life) and On Earth as in Heaven (Fordham). Bruce V. Foltz, Professor of Philosophy at Eckerd College is founding President for both the International Association for Environmental Philosophy and the Society for Nature, Philosophy, and Religion. His environmental publications include Inhabiting the Earth: Heidegger, Environmental Ethics, and the Metaphysics of Nature; Rethinking Nature: Essays in Environmental Philosophy; and The Noetics of Nature: Environmental Philosophy and the Holy Beauty of the Visible (forthcoming Fordham).